Okmulgee Lawyer BlogIn Okmulgee, What Does an Application to Revoke Do? Both probation and parole are used extensively by courts. These tools allow a person to avoid prison via a suspended or deferred sentence, or to be released from prison after serving a portion of their sentence. Both probation and parole have strict guidelines of behavior that must be adhered to. When a person breaks a requirement of either probation or parole, an application to revoke that probation or parole in Okmulgee is usually filed by the district attorney, or by the probation officer. When a probationer fails to meet one or more of these conditions, an application to revoke is usually filed. If granted, several changes may occur. 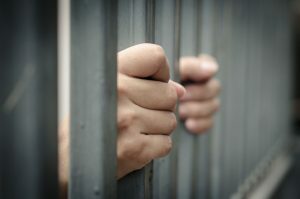 The probation or parole may be completely revoked, in which case, the probationer or parolee must return to jail or prison to complete the remainder of their sentence. The court may also change the terms of the probation or parole, usually making them more strict. Usually, the probationer or parolee is immediately arrested pending the judge’s ruling on the application. Once arrested, the probationer must appear at an arraignment on the application, and a hearing date is set. The application to revoke is filed with the clerk of the sentencing court. A hearing on the application takes place fairly quickly, usually within 20 days. Evidence is presented at the hearing. That evidence can be in the form of letters and affidavits. All the state must show is competent evidence of a person’s failure to meet the terms and conditions of their probation. This is a more relaxed burden of proof. If you are facing an application to revoke, you must get the help of an experienced attorney to help you avoid returning to jail. An attorney can help you present evidence at the hearing that may help you work out an alternative with the judge and avoid returning to jail.